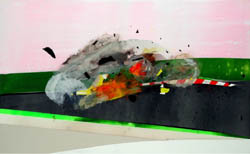 Grand Prix anorak Kristin Baker paints for the thrill of the moment. 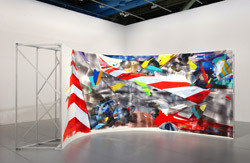 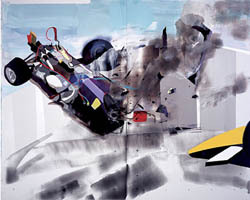 Encouraged by her love of automotive racing, her large-scale abstractions appropriate every essence of high-octane drive. 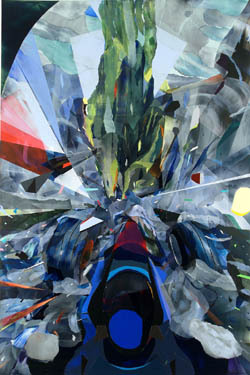 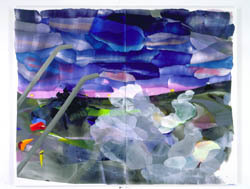 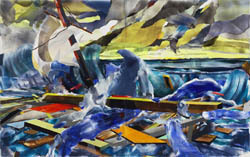 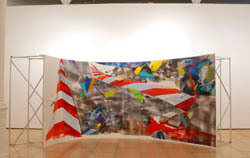 Suggesting the view from a Formula 1 car, Washzert Suisse advances with split-second tension: planes of translucent hues overlap as fragments of speeding light, freezing adrenaline rush as an aesthetic sublime. 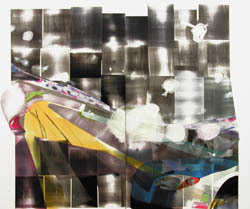 Using the unlikely subject of mechanical perfection as a metaphor for painting, Baker’s work explores the limits of commitment, focus, and endurance, her canvases poetically capturing an ambience of glamour and spirituality.